One would think a product labeled “natural” is completely safe, but that’s not always the case. In fact, as you’ll read below, some ingredients derived from nature can harm your tooth health. Here’s how to navigate the world of natural toothpastes safely. First, ensure that a natural toothpaste has passed the scrutiny of the American Dental Association (ADA) or Environmental Working Group (EWG). Both non-profit organizations evaluate products according to stringent ingredient guidelines. For 80 years, the ADA has been analyzing dental products for safety. When a toothpaste carries the ADA Seal, you know it’s met rigorous clinical standards. The ADA also investigates claims made by toothpaste manufacturers to ensure they’re backed by scientific evidence. Without ADA clearance, a toothpaste can pose health risks since a manufacturer can make false statements. For example, 14 natural toothpastes, marketed as antibacterial, came under the radar of researchers in 2004. The products were tested for inhibitory effects against four common oral pathogens. Six toothpastes were ineffective, and one product promoted microbial growth, indicating possible contamination. The study findings were reported in the Journal of the American Dental Association. Natural toothpastes on which the ADA smiles are Tom’s of Maine and Hello Products. Here’s the current list of toothpastes with ADA approval. Here you can access the EWG database for toothpastes that are verified safe. Grainy substances aid the work of your toothbrush, removing plaque and tooth stains. Plaque is a film released by bacteria that sticks to gums and teeth. If you don’t eliminate plaque, gum disease can develop. However, strong polishing agents cause tooth sensitivity and enamel loss, making teeth vulnerable to decay. For a point of reference, here’s a list of widely sold toothpastes and their corresponding RDA values. 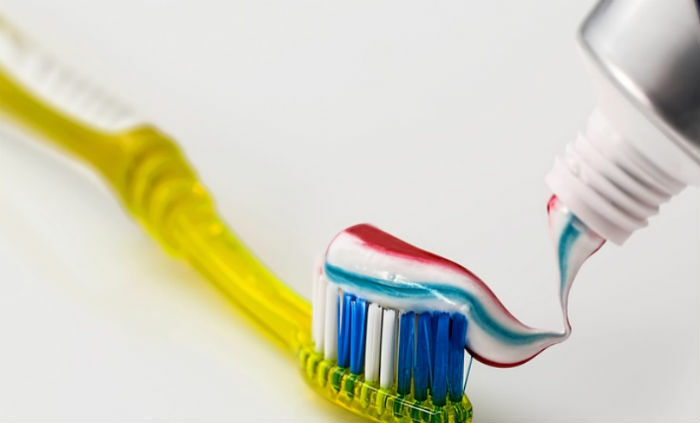 Toothpaste not cleared by the ADA or EWG may be too abrasive. How can you tell? One indication is the word “whitening” on packaging. Furthermore, after using a harsh toothpaste, your gums will burn, and your teeth will hurt with exposure to hot and cold foods. Additionally, your gum tissue may slough off, in the form of white strings. Your tooth enamel naturally contains fluoride. When teeth absorb this mineral, it strengthens their enamel, increasing resistance to decay. Fluoride also protects your teeth from erosion by acid in foods and bacterial secretions. For the past 58 years, the ADA has recommended using fluoride toothpaste to prevent cavities. In fact, for toothpaste to receive ADA approval, it must have fluoride. Fluoride naturally inhibits bacterial growth, eliminating the need for preservatives. However, adding fluoride to products can be controversial, so follow your dentist’s recommendation. Hopefully, you’re getting dental check-ups at least twice yearly. If so, the dentist knows your cavity history. Based on this and the condition of your gums and teeth, the doctor can advise whether you need fluoride. Fluoride – When ingested at moderate to high levels, this mineral is toxic. Triclosan – Despite banning by the FDA, this antibacterial agent is still used by some manufacturers. Animal studies show that triclosan jeopardizes immunity, interferes with hormones, and can trigger cancer. DEA – Also a foaming ingredient, DEA disrupts the action of hormones. Propylene Glycol – If swallowed, this solvent is toxic to the brain, kidneys, and liver. Up until February 2014, the ADA stated that fluoride toothpaste should not be used with children below age 3. However, after noting an increase in cavities in preschool kids, the ADA changed its recommendations. Here are the revised guidelines. When baby teeth first emerge, parents can start brushing them with fluoride toothpaste. Until age 3, the amount should equal a grain of rice. From ages 3 to 6, the amount can increase to pea-size. However, ingesting high levels of fluoride poses health risks. It can result in “dental fluorosis,” evidenced by tooth pitting, white specks, brown spots, and roughness. Other hazards of swallowing fluoride include stomachaches, nausea, dizziness, headaches, vomiting, impaired glucose metabolism, rashes, and even death. Due to the risk of fluoride toxicity, the FDA mandates a poison warning on the labels of all toothpastes sold in the US. Some parents opt to use fluoride-free toothpaste for their children until age 6. If you’re undecided, ask your dentist’s advice. Since natural toothpastes aren’t mainstream, they may sit longer on a store shelf than their conventional counterparts. The ADA requires approved manufacturers to post expiration dates on their toothpastes. Some natural retailers may not, so only buy a dated product. A fluoride toothpaste will be less effective beyond its shelf life since it won’t bind well to enamel. Additionally, other ingredients may separate or crystallize. Flavoring may develop an unpleasant taste. Or, the paste may dry out and stick inside the tube. Requisite for purchase, a natural toothpaste should meet five criteria. First, it should have the green light of the ADA or EWG. While removing plaque and stain, it should be gentle on your gums and teeth. If ADA-approved, its RDA value shouldn’t exceed 100. The ADA recommends fluoride, but follow the advice of your dentist, especially if you have young children. To avoid canker sores, don’t buy a toothpaste with sodium lauryl sulfate. A genuinely natural product should also be free of triclosan, DEA, and propylene glycol. Lastly, make sure the product hasn’t expired. Follow these tips for healthy gums, teeth, and lips!